In this episode, Two Black Nerds talk about habits, inspired by the book "The Power of Habit". They discuss the theory behind habits and habit loops. They discuss how to create, change, and getting rid of habits. They also talk about habit loops they've successfully created in the past, and which ones they want to change. In this episode, Two Black Nerds go back to their roots and have a casual conversation where they reflect on 2016. They briefly talk about shows and films that they watched recently, including the amazing show Luke Cage and reflect on the state of politics in the United States after the election. They also talked about their goals and close the discussion with books they read. Happy Belated New Year! 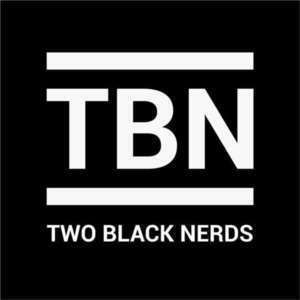 In this episode, TBN has a conversation with Rohini Pandhi and James Norman from Transparent Collective, a non-profit that helps founders from underrepresented groups access the resources they need in order to create successful companies. This episode is a discussion on how to approach diversity and inclusion from the perspective of the personal narrative. If you enjoyed our diversity in tech episode, you will definitely enjoy this episode! We talk to the people who started stage for change, an organization looking at how stories can change how we talk about diversity and inclusion. 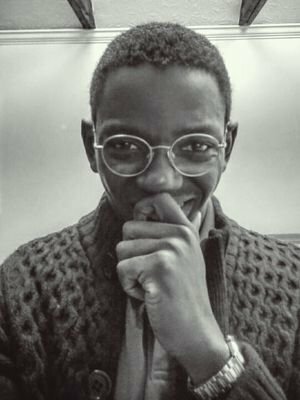 In this episode, Two Black Nerds talk to Courtland Allen, MIT graduate and YC Alum and the founder of IndieHackers’. Courtland tells them about his career as a programmer and how he made the progression from developer to founder and the lessons and skills he learned while at MIT and YCombinator. In this episode, Romeo interviews Tre Haskins, a friend and fellow Notre Dame alum. They discuss the transition from his job as Technology Consultant at Deloitte to a Production Manager on Celebrity Cruises. In this episode, we answer questions from recent college graduates. We talk about everything from our salaries, what we spend money on, taxes and what to do if people do not take you seriously at work, and much more. In this episode, Two Black Nerds hosts, Romeo and Iheanyi, give their recommendations on how to go about learning how to code assuming no technical background. In this episode, Two Black Nerds hosts reflect on 2015 and share what they have learned through the year. They discuss this new year’s goals and how they plan to go accomplishing them. They also share the books they intend on reading, trips they want to take, and as usual, they get side tracked and talk about random things. In this episode, Two Black Nerds interviews Justin Carson from YikYak. They start off talking about his journey to becoming a Product Designer and where he is now, starting from his high school years. They also take a moment to discuss his current job at YikYak and the role of the designer in a product based around anonymity and other topics, such as diversity in tech for designers and Twitter as a product. In this episode, Two Black Nerds catch up and talk about mathematics before talking about Khan Academy and how it changed the way we learn and it’s future potential through Artificial Intelligence. They also briefly discuss the value of data in “free” services before discussing the college education’s future and viability due to increases in tuition and degree inflation. They also discuss how people in STEM fields do not necessarily have an ‘education’ but rather ‘training’ for solving problems. They also enter a discussion around coding bootcamps and their viability before concluding that they are definitely fulfilling a need. Lastly, they close out by discussing the Stanford 2025 project and other non-traditional forms of education.